My 14 week old Cockapoo Leo is at his chewing stage. Nylabones he is not interested in unfortunately. He loves I've cubes and has the occasional puppy dentatube. He has had one raw hide tiny shoe that I have now binned after reading they are in short rubbish. 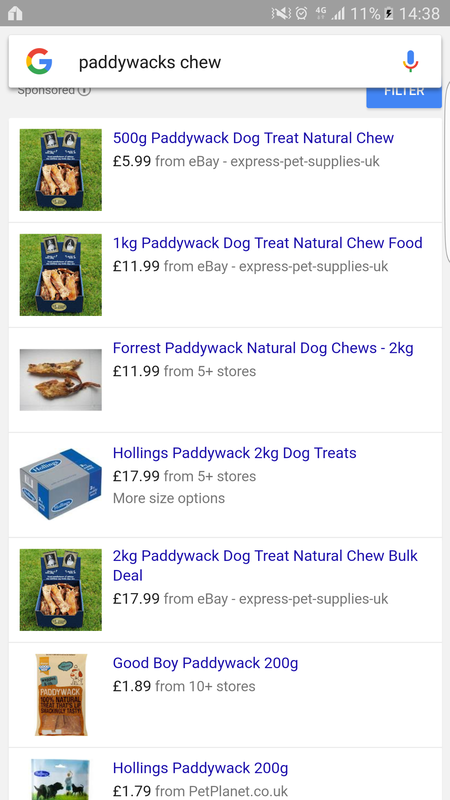 So I have been looking on here for dog chews. Preferably I would like to leave him to it as he enjoys chewing? I have looked at the skippers dried Fish skins and the nature instinct beef jerry chews. Any advice would be appreciated. Re: Puppy chew... for 3 months old. My three have the Fish4Dogs squares but they only take a minute or two to finish off. Last year I bought them some antlers and they have been a success. Got this tip from Farm Food Antlers: Soak overnight or scour slightly. I tried the former and it worked. They like it better when they get down to the marrow. 1 Like Lovendoz likes this. Thanks for your reply Dottie. Well we have Kongs lready that we use frequently but he gets bored of them quickly. Haven't tried changing ingredients yet. have been reading the Kong thread. We have bought him split antlers for him but again doesn't last long like 5 minutes. I will try soaking them with water like you have said? We have fish for dog squares which he enjoys but wanted to get some other chews to keep him entertained and not bored lol. My dog enjoys a bully stick every now and again too. She wasn't very interested in her antler until I took Dotties advice and soaked it . Now she has nearly chewed it all down but it has lasted ages. I forgot about paddywacks. They are edible sinew and, given frozen straight from the freezer provide a fair bit of chewing. I gave my dogs these but they are probably available from any company that trades in raw dog food. EDIT. Excuse me I didn't see the hyperlink. I didn't know about those. It looks as if they are treated in order to preserve them. Natures Menu Paddywacks are raw and natural so would recommend those. When I have given them frozen they last longer. They are also not too fattening. We have bought him split antlers for him but again doesn't last long like 5 minutes. I will try soaking them with water like you have said? I'm a bit confused by this. My boy has had a red deer antler for 3 years that OH had to use a circular saw to slice up so he could knaw on it. He's had a fallow deer antler, the flat type these are softer for 2 years but still hasn't chewed through it. I think we're talking about different antler chews. I find it hard to believe any dog could chew through an antler an 5 mins Buffalo horns are also long lasting.